Prime Minister Benjamin Netanyahu of Israel is ahead after a head-to-head race with challenger Benny Gantz, and is already talking about a “colossal victory.” He has his fifth term in office. Israeli Prime Minister Benjamin Netanyahu has good prospects for a fifth term after the general election. His right-wing Likud party, according to projections after counting almost all votes, although similar seats as the list blue-white of his challenger Benny Gantz. But together with other right-wing parties, Likud would have a majority of around 65 out of 120 seats. Extrapolations saw Netanyahu’s party on Wednesday morning after counting 97 percent of the votes in about 35 parliamentary mandates. The list blue-white comes to a comparable number. Polls had predicted a head-to-head race before the election. The official election result is expected later this Wednesday. The opposition ex-military chief Gantz (59) previously spoke of “a historic day for Israel”. The biggest party must get the job of forming a government, he said. Forecasts had seen his alliance ahead of the polls closed. “We thank Netanyahu for his services,” Gantz said as if the election had already been decided. In many ways, the election was a kind of referendum on Netanyahu, who has ruled the country for 13 years and is often referred to as King Bibi. The 69-year-old had presented himself in the election campaign as an experienced politician who alone was able to guarantee Israel’s security. On Saturday, Netanyahu had announced the annexation of Jewish settlements in the West Bank in the event of an electoral victory. Netanyahu was under pressure from allegations of corruption. The incumbent is facing charges of alleged corruption in three cases. However, Netanyahu was the last foreign policy success. He received support from US President Donald Trump, who moved the US embassy to Jerusalem and officially recognized the Golan Heights as Israeli territory. Israel conquered the area from Syria in 1967 and annexed it in 1981. The liberal political novice Gantz sat in the election campaign on the desire to change after a total of 13 years Netanyahu. The 59-year-old denounced the bribery scandal of the incumbent in the election campaign and promised in the event of his election victory “zero tolerance” against corruption. Netanyahu’s annexation plans described Gantz as “irresponsible” soliciting votes. He himself supports a “globally supported peace agreement”. The other parties only achieved single-digit mandates. The strict religious parties Sha and United Torah Judaism each had eight mandates. The Labor Party only got six seats, just like the Hadash-Taal Arab party. The New Rights of Education Minister Naftali Bennett and Justice Minister Ayelet Shaked probably missed entry into parliament. The ultra-right Israel Beitenu of Avigdor Lieberman and the Union of right-wing parties each receive five mandates. Kulanu of Finance Minister Moshe Kachlon receives four mandates, as well as the left Meretz party and the Arab party Balad-United Arab list. 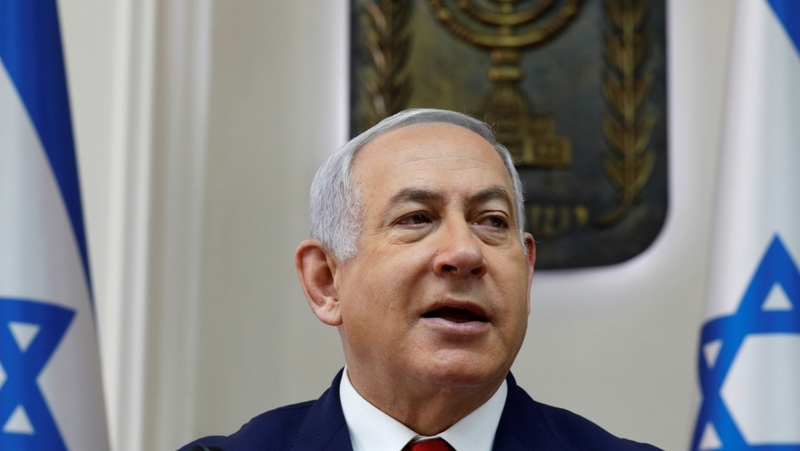 Netanyahu last led a coalition government with the right-wing and most religious parties. The elections had been brought forward because of a government crisis. Originally, they had been scheduled for November. After the election, President Reuven Rivlin will hire the candidate with the best chance of forming a governing coalition. The new Parliament will be sworn in on 23 April. A new government is expected until the beginning of June.